Disciplined Systematic Global Macro Views: The incredible shrinking alpha - Falling skill or alternative definitions? The incredible shrinking alpha - Falling skill or alternative definitions? The beta battle of what portion of returns can be explained by systematic factors continues across the asset management world. However, it is not so much a battle of performance breakdown between beta and alpha skill but of definition. 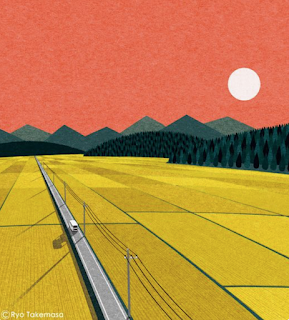 What used to be called alpha in a simple one-factor world can now be partially described as a beta. The alpha manager of yesterday is partially the alternative or smart beta manager of today not by design but from construction. The incredible shrinking alpha is associated with the incredible growing betas. We focus on the changing definition of alpha by looking at a simple graphical depiction of how returns have been decomposed into different betas (factors or risk premiums). In an old hedge fund world, the total returns were viewed as the skill of the manager. From this simplistic view, there was the advancement into the market beta view where returns could be decomposed into market beta and manager skill or alpha. In this advanced world, alpha has fallen and there is a discussion on whether investors should pay for beta. We are now in the alternative risk premium world which states that hedge fund returns can be further decomposed into a market and assorted risk premiums like value and size to name two of the most common. The alternative betas can be further decomposed into carry, momentum, or defined factors. 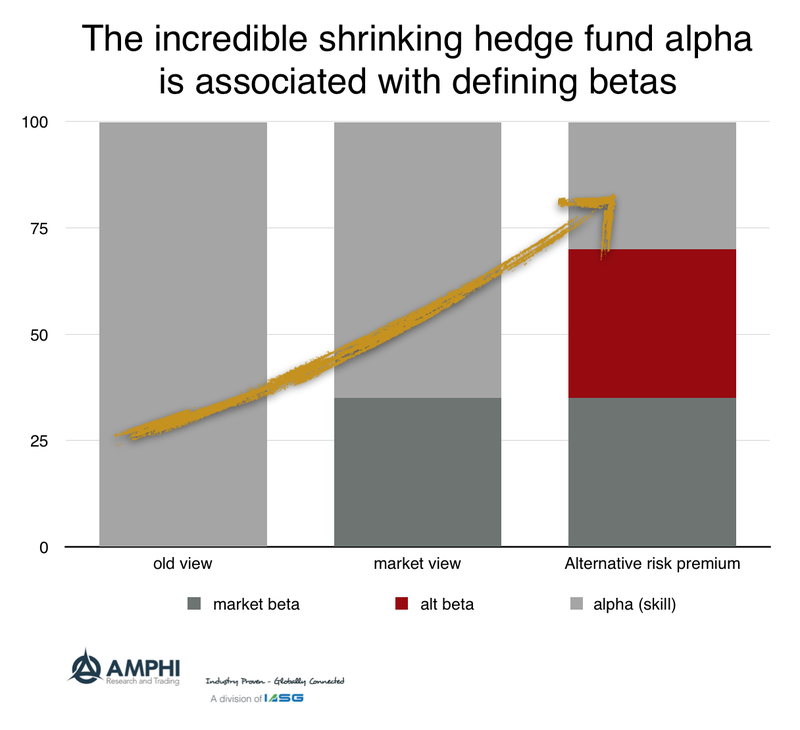 As more "betas" are used to describe hedge fund returns, the alpha based skill is further shrunk. Of course, there may be skill navigating and weighing different risk premiums but that is a different discussion. The result of more betas is a shrinking alpha that can be attributed to manager skill. It is not that managers have gotten less smart, but investors have gotten smarter at defining what are appropriate betas. The skill of managers could actually be increasing through time after accounting for all the appropriate betas. This issue defining the betas in a fund is actually complex and skill identification has gotten more nuanced.